Laid down, date unknown, as a Maritime Commission type (C1-M-AV1) hull, under Maritime Commission contract (MC hull 2111) at Kaiser Cargo Inc., Richmond, CA. Decommissioned, 19 July 1946, at Seattle, WA. Returned to the Maritime Commission, 22 July 1946, at Olympia, WA. 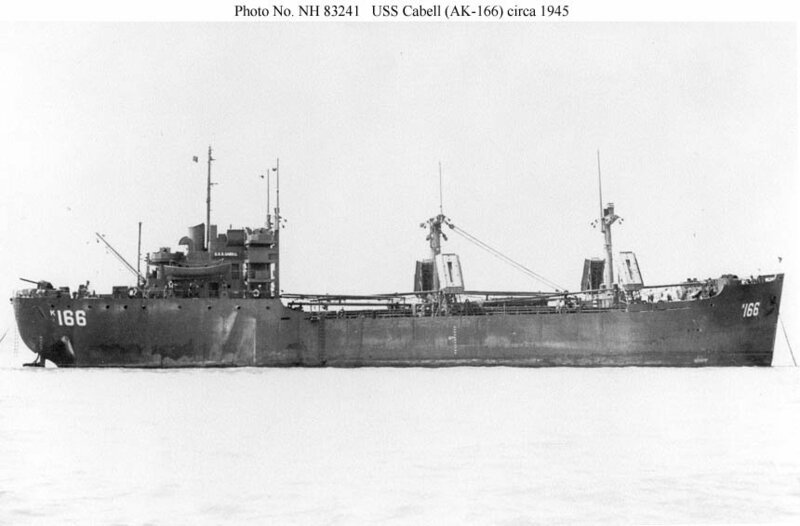 55k USS Cabell (AK-166) at anchor, location unknown, circa late 1945.